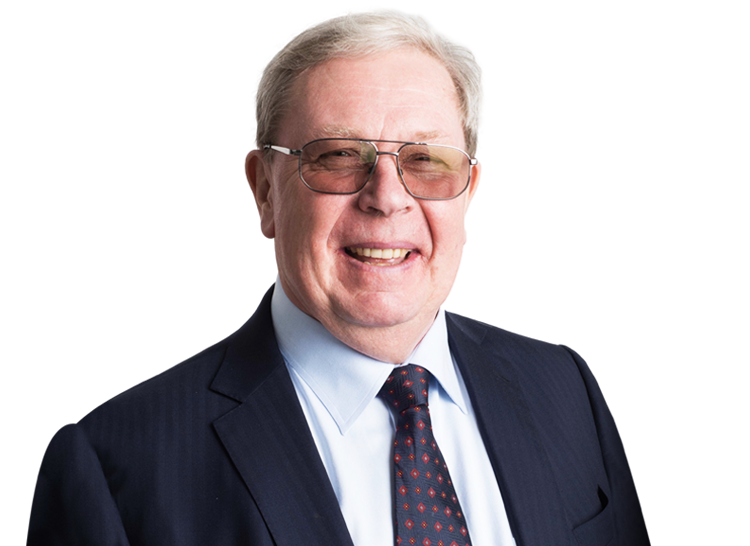 Mark Cran QC has developed an impressive practice within the field of commercial law. Given his strong advocacy experience and command within the court room, he is well-known as a very effective cross-examiner and a persuasive advocate. His practice additionally covers specialist areas such as banking, entertainment and media, licensing & gaming, sports law, insurance and reinsurance, European law, and public and administrative law. Mark Cran QC is currently a door tenant of Brick Court Chambers, and is Senior Counsel at leading Bermudian firm Attride-Stirling and Woloniecki. He was a full tenant of Brick Court Chambers 1974 - 2013. Penny v Montagu Private Equity & Ors Ch D Sir William Blackburne. Action settled very favourably in 2012 in 12th week of scheduled 20 week trial in Manchester, following 6 weeks of cross-examination of Defendants' witnesses by Mark Cran QC. Unfair prejudice -- Companies Act 2006 s. 994. Fattal v Walbrook & Ors Ch D Lewison J Re-casting pleadings, and 6 weeks of interlocutory hearings on trustee exemption clauses, pleadings issues, etc. 2010-11. Ingenious Group v Wadhwani & Ors Ch D. Various actions exploring employment, confidentiality and intellectual property issues arising from misuse of complex computer hardware and software by former employees, 2009-10. Occidental v. Republic of Ecuador  EWHC 345 (Comm);  1 Lloyd's Rep. 773;  2 C.L.C. 1, Aikens J;  EWCA Civ 656;  2 Lloyd's Rep. 352;  2 C.L.C. 16 Court of Appeal. Bancomext v. Etecsa  EWHC 2322 (Comm);  2 C.L.C. 690;  I.L.Pr. 59;  EWCA Civ 662;  1 W.L.R. 1936;  2 All E.R. (Comm) 1093;  Bus. L.R. 1265;  2 Lloyd's Rep. 484 Court of Appeal. Law Debenture Trust v. Lexington Insurance Co.
Motorola v. Uzan. EWCA Civ 989;  2 All E.R. (Comm) 945;  C.P. Rep. 69; (2002) 99(33) L.S.G. 21; Times, July 10, 2002 Court of Appeal. Director General of Fair Trading v. The Proprietary Association of Great Britain & Anor, 151 NLJ 17;  I.C.R. 306; sub nom In Re Medicaments  1 W.L.R. 700;  U.K.C.L.R. 550;  I.C.R. 564 Court of Appeal. Kuwait Airways Corporation & Minister of Finance for the State of Kuwait v. Kuwait Insurance Co SAK & Others,  l Lloyds Rep 664 - led for London insurance market in successfully resisting war risks claims by Kuwaiti Government/Kuwait Airways who were seeking to defeat limitation of $300 million on loss of aircraft and equipment following Iraqi invasion (Rix J). R v. Camden London Borough Council ex parte Cran & Others  RTR 346, 94 LGR 8, (Pro bono) - led for North London residents in successful High Court action to squash traffic and parking orders made by Camden Council (McCullough J.) ( RTR 346; 94 LGR 8). Banque Brussells Lambert SA v. Eagle Star Insurance Co.Ltd  2 All ER 769,  31 EG 68,  2 EGLR 108 - led for Eagle Star in successful defence of major BBL and related actions for recovery under commercial mortgage indemnity policies. Having acted on behalf of various well known artists such as George Michael in his dispute with Sony, Joan Armatrading, Frankie Goes to Hollywood, Paul McCartney, and for Michael Bolton against Warner Chappell, Mark Cran QC is without question a leading silk in the area. His other clients within this area include Major and Independent Record Companies, Film and Theatre Companies, TV and Radio Broadcasters, Directors and Producers. Panayioutou & Others v. Sony Music Entertainment  Ch 142,  1 All ER 755,  2 WLR 241 - led for George Michael. Mark Cran QC has advised and appeared before numerous licensing committees, and on appeal, in approximately 30 different cases. His clients included all the casino groups and operators in the UK, in particular London Clubs and Clermont Leisure. Mark Cran QC is rated as leading silk for sport disputes. His specialist knowledge covers a wide range of issues, and he has been instructed to act for various individuals, organisers, teams, governing bodies and broadcasters. He frequently advised the Williams Formula One team and appeared for them in various arbitrations, Concorde Agreement tribunals, and High Court actions. He advised Williams and McLaren on the proposed flotation of F1A by the Ecclestone interests, a matter which required an appreciation of EU Competition law. More recently he was instructed on behalf of the Stanford interests in the dispute between the West Indies Cricket Board, the EWCB, and Digicel over the broadcasting and staging of the Stanford 20/20 cricket matches in Antigua, prior to the detention and trial of Sir Allen Stanford. Called to the Bar 1973, appointed silk 1988, appointed recorder 1998, First (top) Tier Trainer of Advocacy and Ethics 2003, Bencher of Grays Inn 2009, Class 2 Recorder (Serious Crime) 2010.